Film Review: "Kung Fu Panda 3" (2016). "You must rediscover what it is to be a panda!" This quote is at the heart of Kung Fu Panda 3. This computer-animated action comedy martial arts film, directed by Jennifer Yuh Nelson and Alessandro Carloni and produced by DreamWorks Animation and Oriental DreamWorks. It is a sequel to the 2011 film Kung Fu Panda 2 and the third instalment in the Kung Fu Panda franchise. When Po's long-lost panda father suddenly reappears, the reunited duo travels to a secret panda paradise to meet scores of hilarious new panda characters. But when the supernatural villain Kai begins to sweep across China defeating all the kung fu masters, Po must do the impossible-learn to train a village full of his fun-loving, clumsy brethren to become the ultimate band of Kung Fu Pandas. In 2010, DreamWorks Animation CEO Jeffrey Katzenberg announced that the Kung Fu Panda franchise was planned to have six movies, or "chapters", and that the threequel will not be the last movie in the franchise. In July 2012, Kung Fu Panda 3 was officially confirmed by Bill Damaschke, DWA's chief creative officer. This has been the longest wait for a sequel to a previous Dreamworks computer-animated film to date. The film was made as a co-production between DreamWorks Animation and Oriental DreamWorks, a Shanghai-based studio, founded in 2012 as a partnership between DreamWorks Animation and Chinese companies. This was the first time that any major American animated feature film had been co-produced with a Chinese firm. One third of the film was made in China, and the rest in the United States, at DWA. In April 2013, DreamWorks Animation announced that Rebel Wilson, Bryan Cranston, and Mads Mikkelsen had joined the cast of the film. By April 2015, J.K. Simmons had replaced Mikkelsen, whose character had been rewritten. Five months later, Wilson was replaced by Kate Hudson due to an extended production schedule. The studio had to reanimate previously completed scenes to reflect Hudson's interpretation of the character. The film features the voices of Jack Black, Angelina Jolie, Dustin Hoffman, J. K. Simmons, Jackie Chan, Lucy Liu, Seth Rogen, David Cross, Bryan Cranston, Kate Hudson, James Hong, Jean-Claude Van Damme and Randall Duk Kim. The cast once again gave yet another round of spectacular performances. With Black, this time, more in centre bringing the "awesomeness". While Cranston and Hudson and Simmons bring their flare to the mix. 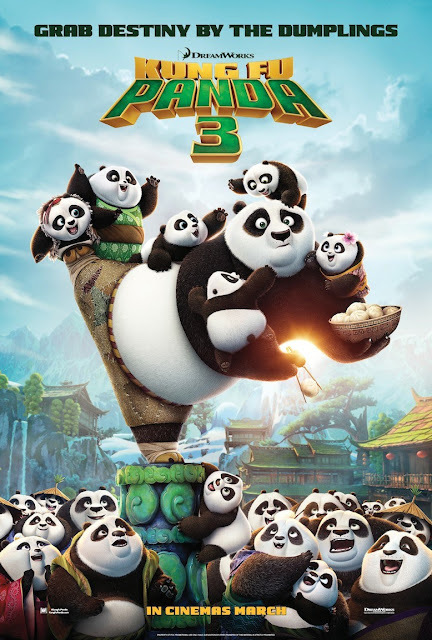 The storyline arc may seem again tad familiar to fans of the previous two instalments, but Kung Fu Panda 3 once again offers enough action, comedy, and visual sparkle to compensate. It is a worthy third chapter that gets an extra kick from the addition of dynamic 3D fight sequences. The movie is superior to the two and works as an ambitious extension of the previous story. It effectively probes even deeper into Po's emerging hero's journey and personal issues, evoking a truly fulfilling Campbellian archetype, but also remains fully viable as mainstream entertainment suitable for all ages. It is truly beautiful to behold and it works on both aesthetic and emotional levels. Film Review: "Batman v Superman: Dawn of Justice" (2016). "Who will win?" This legendary question is now realised in Batman v Superman: Dawn of Justice. This superhero film directed by Zack Snyder and written by Chris Terrio and David S. Goyer. It is the follow-up to 2013's Man of Steel and the second installment in the DC Extended Universe. Fearing the actions of a god-like super hero are left unchecked, Gotham City’s own formidable, forceful vigilante takes on Metropolis’s most revered, modern-day saviour, while the world wrestles with what kind of a hero it really needs. And with Batman and Superman at war with one another, a new threat quickly arises. Putting mankind in greater danger than it’s ever known before. 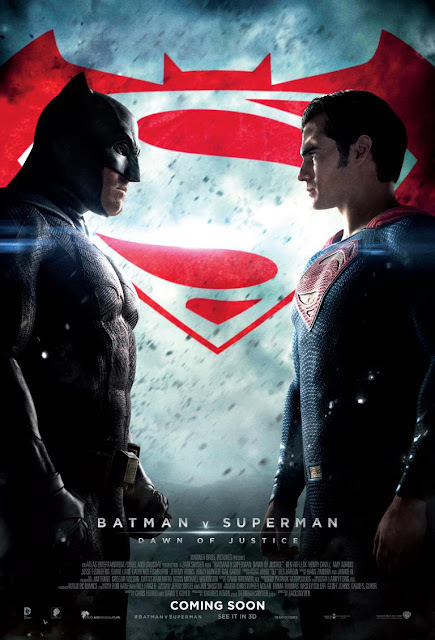 This is the first live-action film to feature both Batman and Superman together, as well as the first live-action portrayals of Wonder Woman, Aquaman, the Flash and Cyborg on the silver screen. The film was announced at the 2013 San Diego Comic-Con, after the release of Man of Steel. Snyder and Goyer were both brought back in June 2013. Snyder stated that the film would take inspiration from The Dark Knight Returns. It was also clarified that their incarnation of Batman would not be related to Christopher Nolan's iteration. Pre-production began in October 2013, with principal photography starting in May 2014 in Detroit, Michigan, Chicago, Illinois and Los Angeles, California. Filming concluded in December 2014. The film was originally slate for a July 17, 2015 release date. It was then moved to May 6, 2016, in order to give the filmmakers "time to realize fully their vision..." The release date was moved once again to March 25, 2016. The film stars Ben Affleck, Henry Cavill, Amy Adams, Jesse Eisenberg, Diane Lane, Laurence Fishburne, Jeremy Irons, Holly Hunter and Gal Gadot. The cast gave varied performances, but are sure to eliminate any doubts that plague die-hard fans. Cavill, Adams, Lane and Fishburne gave fine performances, despite not exactly living up to the images of their comic-book counterparts. Affleck gave the best performance of his career and has become the definitive Batman. His portrayal of the Dark Knight makes Christian Bale's look like Barney the Dinosaur. As for Eisenberg, he would have been a great Riddler instead. Gadot was amazing as the Amazonian warrior. Her performance single-handedly eliminated any skepticism that I had prior to my viewing. Irons made a terrific Alfred, giving an iteration like the previous iterations. Finally Hunter gave a fine performance, despite given very little to do. With Batman v Superman: Dawn of Justice, fans of the two superheroes will enjoy this epic showdown. But for everyone else, not so much. One can see that Snyder clearly relished making this wonderfully and utterly "comic book" movie. It's a pretty movie to look at with its grandiose sets and top notch action, but it's a lot like Snyder's previous works in that it's all facade and no foundation. In the end, the film lives up to its hype and has finally opened the door to the DC Cinematic Universe at the movies. Also, see my review for Man of Steel. This evening saw the launch of a Velocity seminar at the Owen G. Glenn building at the University of Auckland, and the guest tonight was Linda Bulk of Aernonavics. As one of the world's first companies active in this space Aeronavics have developed a solid foundation not only to produce high quality systems and offer ongoing support, but also to help you apply the technology to your specific needs and environment. Already proving to be 'the next big thing' - comparable to the personal computer some 37 years ago - this is not without good cause. There are countless applications in a wide array of industry areas to save time and money, improve safety and widely expand creative perspectives and potential. These systems are easy to use, affordable, clean, quiet and environmentally friendly - Aerial Robotics is an enabling technology with huge potential and future expansion. 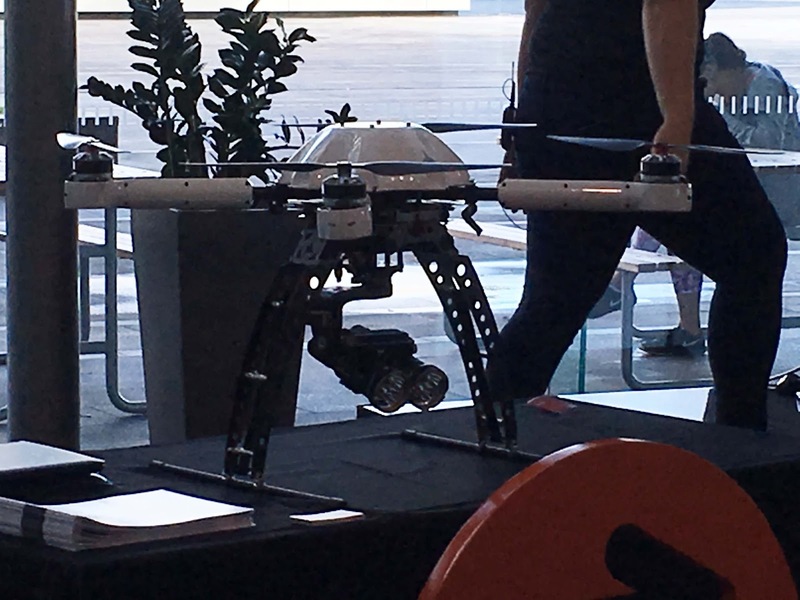 From Hollywood blockbusters to wedding photography - aerial robotics is changing the way video and images are captured. Surreal sweeping shots, a true birds-eye view... Wildlife documentaries, commercials, news reports, advertisements and live broadcasts of sporting events are all enhanced by the new perspectives their systems offer. World renowned for advanced vibration dampening, payload capacity, transportability and durability, their systems have been the preferred choice for industry professionals for several years; and they also cater for entry level solutions for your first introduction to this technology. Easy to deploy, operate and retrieve, these systems are an essential resource to increase situational awareness, assess damage from natural disasters, search for missing bush-walkers, find hot spots in forest fires, sample air for pollution, map environments, inspect infrastructure, secure borders, report accidents and monitor environmental change. Infrared, Thermal Imaging cameras and various other equipment such as 3D LIDAR expand the functional value of these craft; the potential is limitless and they are ever expanding the scope of possibility. Cost effective, time saving and reducing risk to human lives - industrial applications are increasing for this technology and they are developing specialised craft for these; an ideal tool for mapping, planning and progress monitoring. Property developers can provide views from the 3rd, 4th, 10th floor of a building that doesn't even exist yet; damage to property and the environment can be swiftly and accurately assessed after natural disasters; architects can create instant 3D images and imprints of subject areas and structures; mining companies can gather volumetric data with ease; surveyors and construction companies can 3D map a large surface in minutes; a power company can inspect lines and transformers and carry leader lines across gulley's and ravines... and this list of applications grows daily. Scan your property with a birds-eye view to inspect infrastructure and stock gathering crucial information for planning the day's activities. Remove the safety hazard of monitoring and mustering in rough terrain, save fuel, machinery costs and time simultaneously. Count stock instantly, accurately and remotely, recognise animals in distress. A number of agri-specific sensors are being developed for Precision Agriculture to monitor crop health, growth, irrigation, forecast yields, detect diseases at an early stage and systems are even used to scare birds. Precision Spraying is under development for quick and precise crop and weed spraying with greater safety for operator and environment. Forestry and fisheries are also opening to new possibilities that enable greater productivity, spotting fish schools from air example. 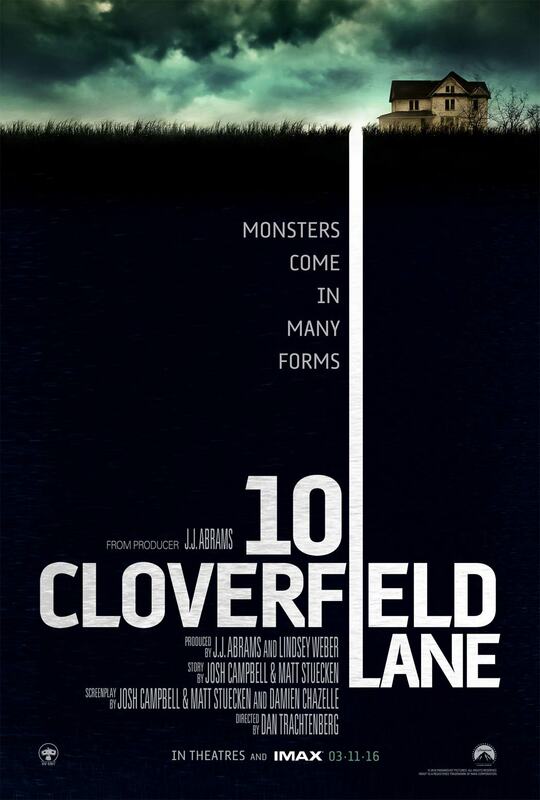 Film Review: "10 Cloverfield Lane" (2016). "Monsters comes in many forms". This is certainly true with 10 Cloverfield Lane. This science fiction thriller film and "blood relative" to the 2008 film Cloverfield. The film is the directorial debut of Dan Trachtenberg; written by Josh Campbell, Matthew Stucken and Damien Chazelle. After getting in a car accident, a woman is held in a shelter by two men, who claim the outside world is affected by a widespread chemical attack. After the success of the first film, a sequel was often discussed by writer, Drew Goddard, and director, Matt Reeves. But they were uncertain to say when they would find the time to get together along with Abrams to develop it, as they were busy with other projects. Abrams has said that the creative team behind the original had some ideas on developing Cloverfield 2, but with the releases of Pacific Rim (2013) and Godzilla (2014) caused them to abandon them as they found the concept of Kaiju movies played out. Originating from an "ultra low budget" spec script titled The Cellar penned by John Campbell and Matt Stuecken. In 2012, Paramount Pictures bought the script and commenced further development under Bad Robot Productions, thus then reworked into a Cloverfield sequel. Damien Chazelle was brought in to rewrite Campbell and Stuecken's draft and direct the movie. Chazelle dropped out from directing when Whiplash (2015) received funding. In April 2014, it was reported production for the film was greenlit to begin in the Fall of 2014 with newcomer, Dan Trachtenberg, at the helm. With a reported budget of about $5 million was expected, in keeping with the mandate of Paramount's Insurge division of producing micro-budgeted films. In July 2014, Variety reported that John Goodman was in negotiations to star in the film. In August 2014, Mary Elizabeth Winstead was reported to have had entered negotiations to star, and in September 2014, John Gallagher, Jr. reportedly joined the cast. Principal photography on the film began in October 2014 in New Orleans and Hahnville, Louisiana. The film was shot in chronological order, primarily in one set. During production, the film was assigned the codename Valencia to keep exact details of the production a secret. Filming ended in December 2014. The film was officially announced less than two months before its release. The film had been completed without anyone knowing and the first trailer was shown during 13 Hours: The Secret Soldiers of Benghazi (2016). The film stars Mary Elizabeth Winstead, John Goodman and John Gallagher, Jr. The cast gave solid performances that elevated the film. Goodman shines as he gives an intense and unsettling performance. Goodman turns into the nastiest saviour to reach the screen since since Kathy Bates in Misery (1990). Winstead gives a solid performance even though it can be seen as being derivative of the character of Marion Crane from Psycho (1960). A sort of Misery crossed with The War of the Worlds, 10 Cloverfield Lane is economically paced, stylistically clever, solidly crafted and filled with palpable intense scares. A pure-blood, grade A, exhilarating sci-fi thriller. Film Review: "Gods of Egypt" (2016). "The battle for eternity begins." This is Gods of Egypt. This fantasy action-adventure film directed by Alex Proyas, and written by Matt Sazama and Burk Sharpless. This film is based on the Egyptian myth "The Contendings of Horus and Set", in which Set and Horus battled for the rule of Egypt. Mortal hero Bek teams with the god Horus in an alliance against Set, the merciless god of darkness, who has usurped Egypt's throne, plunging the once peaceful and prosperous empire into chaos and conflict. The script by Matt Sazama and Burk Sharpless was acquired by Summit Entertainment in 2012. In May, Proyas was chosen by Summit to rewrite the script and direct the film. Marking the director’s first feature in seven years since Knowing (2009). Proyas cited the following films as influences: The Guns of Navarone (1961), Lawrence of Arabia (1962), The Man Who Would Be King (1975), Raiders of the Lost Ark (1981), and Sergio Leone's Western films. By the start of 2014, Proyas rounded out the cast with Nikolaj Coster-Waldau, Brenton Thwaites, Chadwick Boseman, Élodie Yung, Courtney Eaton, Rufus Sewell, Gerard Butler and Geoffrey Rush. The film received controversy for its casting of predominantly Caucasian actors. With most critics accusing the production of "Hollywood whitewashing". In response, Lionsgate and Proyas apologized for the ehtnically-inaccurate casting. Originally scheduled to be shot in the Sahara Desert, production ultimately took place in Australia with a budget of $140 million. Due to international pre-sales and Australian tax incentives, the production’s budget was only around $10 million, and Lionsgate/Summit were able to recoup most of the budget. Released in February 2016, the film was ultimately a critical and commercial failure. Receiving a 16% rotten score on Rotten Tomatoes, and making $31.2 million in its opening weekend run. In response to the reviews, director Proyas posted to Facebook calling critics "diseased vultures pecking at the bones of a dying carcass", who were "trying to peck to the rhythm of the consensus. I applaud any film-goer who values their own opinion enough to not base it on what the pack-mentality says is good or bad." The film stars Nikolaj Coster-Waldau, Brenton Thwaites, Chadwick Boseman, Élodie Yung, Courtney Eaton, Rufus Sewell, Gerard Butler and Geoffrey Rush. There is only one word to describe the performances given by a capable but wasted cast: disappointing. Just... disappointing. Almost all of the cast in this film were just as ethnically accurate as Snookie and Tara Reid after they went on a tanning spree. 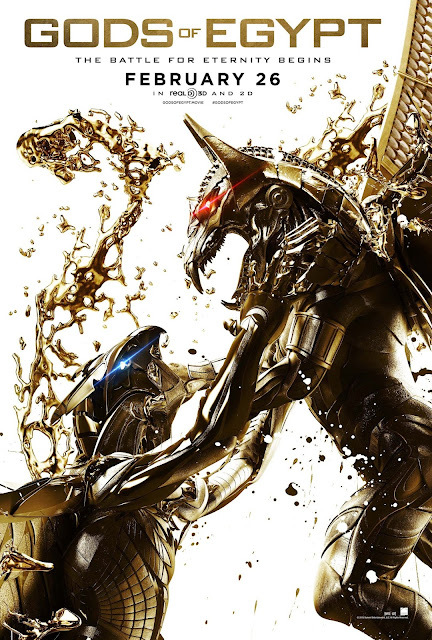 While sporadically stirring, and suitably epic in its ambitions, Gods of Egypt can't quite live up to being a film in general. It is a terrible film. It is a badly acted and badly written action-adventure flick that takes what should be an exhilarating and epic story and drains it of all life and all dramatic interest. In response to Mr. Proyas' statement: Yes, Mr. Proyas, critics are "diseased vultures" who "peck at the bones of dying carcass". But that's only because your film was dying upon arrival.